RuneQuest - Roleplaying in Glorantha - PDF - Chaosium Inc.
Click the button below to add the RuneQuest - Roleplaying in Glorantha - PDF to your wish list. Get Started in RuneQuest with beautiful full-color PDF! For gamemasters wanting to jump right in, the RuneQuest Quickstart contains a complete adventure suitable for new characters, and a downloadable preview of monsters and creatures from the Glorantha Bestiary provides a few classic creatures. Have you played Call of Cthulhu? 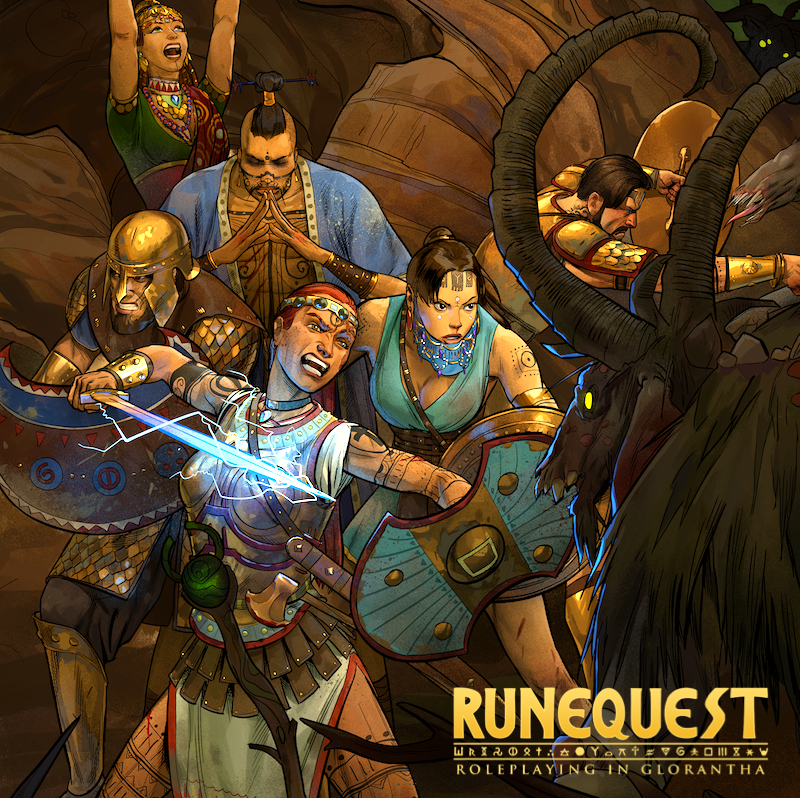 You will pick up RuneQuest in no time thanks to our Basic Roleplaying System! Take the battle to the foul minions of chaos! You might be getting the feeling that with multiple editions and more than 40 years of existence, that RuneQuest and Glorantha are big! And they are. But Bigger than you can manage? A steep wall that can’t be climbed? Nothing could be further from the truth! Over the years, Glorantha has existed in many incarnations — roleplaying games, boardgames, computer games, fiction, etc. — and many inconsistencies have crept in, or been deliberately introduced. That’s a good thing! Myths have many versions, and the mythic world of Glorantha is no different, with wildly divergent beliefs about how the world works, how history played out, the influence of groups and individuals, etc. This perfectly sets the stage for you, whether a player or gamemaster, to determine your own vision of the world and how things work for you and your fellow players. Your Glorantha May Vary — This is the belief that you and your group are ultimately the ones who decide what the world is like. You can use or ignore published materials, change them as desired, and introduce your own elements to Glorantha. Think of it like a buffet: you can take what you want and leave the rest. Combine things to suit your own taste. You know better than anyone else what works for you. Maximum Game Fun — If an aspect of your game is fun, that’s a good thing. If something is not fun, whether it’s rules lawyering or excessive attention to background, then ignore it or de-emphasize it. The point of playing this game — or any other — is enjoyment, and anything that stands in the way of that experience should be carefully rejected. This new edition has been explicitly written with the goal of approachability, reaching out to new players and gamemasters as well as returning fans, making sure that the game line remains vital and engaging for everyone. Are you a fan of old-school RuneQuest? Use RuneQuest: Roleplaying in Glorantha to augment your current campaign. Want to keep playing the classics with the new rules? Take advantage of our conversion guide, also included in the core rulebook. Order your copy today of this 446-page epic and begin your journey in Glorantha today! 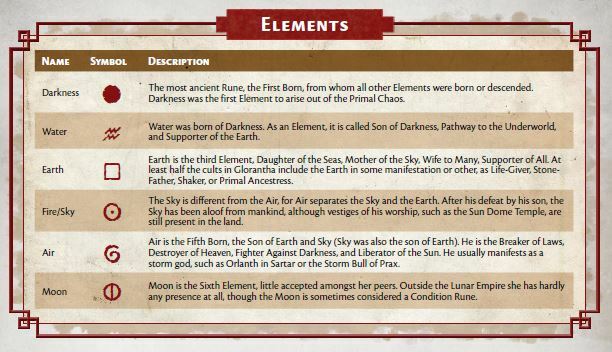 It wouldn't be RuneQuest without Runes, now would it? "Greg Stafford's supreme creation brought fully up to date with the presentation it deserves and tremendous added depth. A fitting memorial. STYLE - 5/5. SUBSTANCE - 5/5: Can it go higher than 5? "—Paul StJohn MacIntosh, RPGNet review. "One of the most stunning RPG books ever made"—Games Vs Play. "In a market stuffed to the gills with fantasy RPGs, RuneQuest offers something a little different from the heroic norm – something a little deadlier, rooted in a time of bronze and barbarians, where historic realism mixes with raw, primitive magic that hangs in the air like early morning mist. "— Tabletop Gaming review, Oct 2018. "This iteration of RQ is going to redefine my view of what is role-playing... it seems to have everything I could wish to find in a game: smooth mechanics, different levels of gameplay, and a whole mythical world presented for the player to explore from within. It feels like the Chaosium of my twenties is back, there at the forefront of innovation in gaming. As a game designer I must say It will be hard to top that, but it feels good have a new mountain to climb! "— Francesco Nepitello (lead designer, One Ring RPG). "Like 2nd edition, but better...a really solid version of RuneQuest which should set the bar for BRP-based Gloranthan gaming for years to come. "— ‘RuneQuest Comes Home’, Refereeing and Reflection. "…if you’re looking for a fantasy game that gives you a taste of something different, then check out RuneQuest. "— Bell of Lost Souls. "A beautiful product and the beginning of a very promising re-birth or reinvigoration of a tabletop RPG classic... one of the best examples of using mechanics in a tabletop RPG to create and reinforce setting and tone... just let the game carry you along into the high-magic, mythology-focused, Bronze Age fantasy game you never knew you wanted to play. "—Play To See What Happens. "A game steeped in both real-world and fictional history, where wild myths meld with a realistic approach to rules… Ultimately, RuneQuest succeeds in carving out a powerful niche in the crowded world of fantasy roleplaying, building something that is truly unique. "—Tabletop Gaming Magazine. "…a fascinating blend of wild heroism and ruthless simulation that goes to create a game that offers something utterly unique…[RuneQuest] breaks away from the core tropes of gleaming armour and codified magic that have come to dominate fantasy in recent decades and replaces it with something that feels closer to ancient myths and legends – more The Odyssey than Lord of the Rings. "—EN World. "RuneQuest: Roleplaying in Glorantha is a landmark, and was even before it was written... it marks the return of one of the most influential and storied games in our hobby back to the house that built it... No other RuneQuest—and this is coming from a guy from whom you’d have to pry his Cults of Prax or Cults of Terror from his cold, dead hands—does Glorantha as well as RQG. "—Andrew Logan Montgomery, Exploring the Otherworlds of Fiction, Magic, and Gaming. "RuneQuest: Roleplaying in Glorantha is a work of art. It is a gorgeous book and an engrossing game in one, the future of the RuneQuest system superimposed on the most detailed RPG setting of them all. The design dynamically delivers the impossible, turning crunch and fluff into one. Its capability to create stories even before the characters are presented to one another, and its crunchiness when the going gets tough and hard decisions are required, have already earned it a place in the pantheon of gaming. Veterans will feel right at home, while new fans will wonder how come a game like this didn't exist up to now. Everything the new Chaosium touches turns to gold. Buy and play, immediately! "—Antonios S., RPGNet review. "…this is a very impressive book. The art, binding and writing is all first rate. I would say it is the most attractive book I own. Looks are great, but the real value goes deeper than appearances. 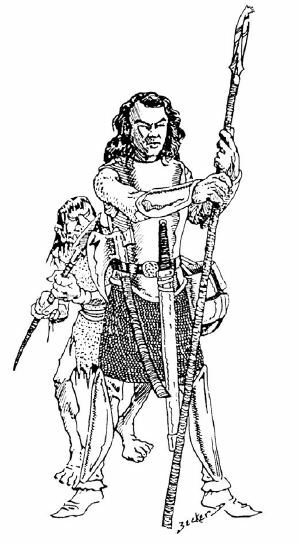 The content of RuneQuest: Roleplaying in Glorantha is up to the standards set by its appearance. "—White Box and Beyond. RuneQuest Glorantha is a brilliant addition to the long legacy of the RuneQuest RPG. This game really brings out the mythic and cultural aspects of gaming in Glorantha. The character generation process, with it's focus on recent ancestors their place in the history of Dragon Pass, helps to firmly embed each PC into the world. Incorporating ideas about the importance of relationships from another great Chaosium game, Pendragon, gives PC's a simple personal history to fall back on, and build from in play. The art work is first rate; a stylized bronze age aesthetic permeating the whole book, from arms and armor, to dress, magic, spirits and daemons, the art truly brings Glorantha alive. The otherworldlyness of it's non-human peoples, and the cultural oddness of it's human ones are highlighted in the art, and help to describe the milieu for both Players and Game Masters. A focus on Rune relationships of the characters add elements not really seen in previous play versions of RuneQuest, an superb addition for Gloranthan play, and relationships with Gods and Heroes, but perhaps less so for use in another world setting. Sorcery magic, again in this edition, is a touch lacking, and hopefully more interestingly explored in later publications. I'm not sure we've had a satisfactory sorcery system for RQ yet. Hopefully one day. Mechanically, at heart it's a BRP game much like prior RuneQuest editions, but the few extra tweaks from Pendragon help fill the world with life and passion. Overall, I see it as the best incarnation of RuneQuest to date for a Glorantha based game, there are a few tweaks I will bring to it's rules. Nothing unusual there though, as I've house ruled every previous edition so far, and many other RPG's that have crossed my table. 'Out of the Box' it's a great rules set for an RPG, but it lacks for enemies to throw at the PC's. This is not so unusual for the hobby, as the most famous game in the industry also has the some problem. An easy problem to fix by picking up the Gloranthan Bestiary, which is in and of itself a superb book. Together with the GM Screen pack it's a beautiful slipcase set that I will definitely pick up for my shelf at home. For players of previous editions, this one is perfect for Gloranthan play, might need a couple tweaks to play in another world, but the differences with previous editions are relatively minor to account for for and experienced GM. For new players looking to be introduced to Glorantha, it is a superb book. To me it was always going to be a must have game, but I have been really positively surprised at what a joy it is to both play and run. 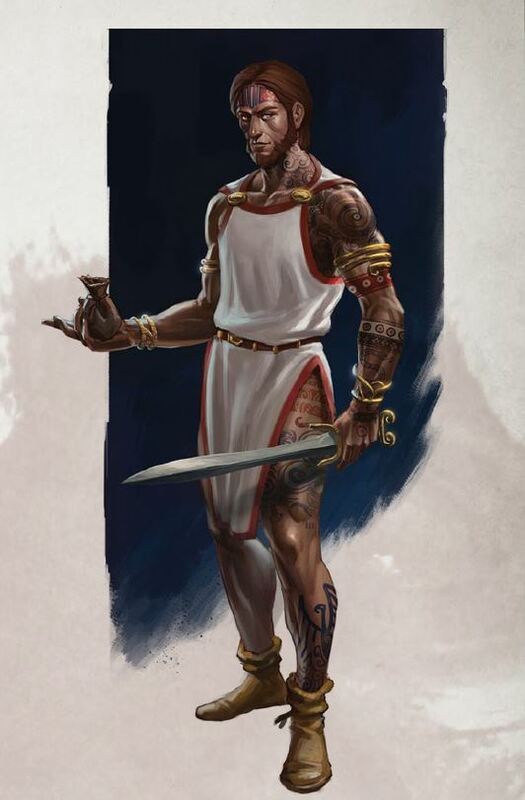 The new RuneQuest Roleplaying in Glorantha by Chaosium is an incredible product. Blessed with fantastic artwork, lovely layout and writing that could only come from the heart of someone who truly, absolutely loved the setting, reading RuneQuest was a heck of an experience. RuneQuest’s setting of Glorantha has seen many incarnations and rightfully so. It’s a land that feels like a real myth, and the practices of the people in the land and their magics and beliefs are so grounded in what could have been that simply exploring that could fuel me for entire campaigns. It’s rare that I find a setting so well adapted to sandbox campaigns, where the point is to help your community see the next year with healthy children, a larger herd of cows and the blessings of your Gods. Gone are the traditional “Chosen One” and “Murderhobo” formats, replaced instead with the simple (but difficult) task of living. Few settings are so well explored in terms of the daily lives of its denizens as Glorantha. I remember early on that I came to RuneQuest hoping that it could deliver the same sense of culture as Legend of the Five Rings. Now I find myself praying that the new edition of Legend of the Five Rings can relay their setting with the same care and attention to detail as Glorantha was presented in RuneQuest. Everything and everyone has a place and a role, and Adventurers are motivated and constrained by their role in their communities. It’s a beautiful social ecosystem that never feels contrived or made-up. And even in the absence of some world-shattering horror or Big Bad Evil Guy, there’s plenty to do. RuneQuest is a product of an older era of game design, and it shows. It’s not quick, easy or narrative. The rules don’t fade into the background as you play, and combat determines the smallest thing from where you hit to how much damage it does, and if it harm’s the target’s armor. I see a lot of slow combat and plenty of rules look ups early on and feel a great need to own a GM’s screen. RuneQuest is a stellar example of a game that knows what it wants to do. Combat is detailed because we’re playing out a simulation that is ugly, dirty, and likely to leave everyone injured. Magic is detailed, and full of requirements and considerations and options for ritual add-ons because you’re entreating spirits or gods to show you favor. The rules aren’t there to obscure the moment: they’re there to highlight it. So while I won’t reach for RuneQuest for Fast! Furious! Fun! I will use it when I want to tell a tale of heroes that reads like the Literary Epics rather than a Marvel Cinematic Universe movie. Not everything is perfect though. RuneQuest Roleplaying in Glorantha is a fantastic product, but it does feel incomplete. Without a bestiary (a concern now addressed with the release of the book just a few days ago) the book itself is less of a complete experience. Also missing are chapters devoted to teaching people to run RuneQuest. While there is no shortage of inspiration, I had hoped that it would include more advice on how to start and what kind of adventures one could run for it. I’m approaching this review as a GM who has run all sorts of games so what might be obvious to me may be a concern to new GMs who picked up RuneQuest only to find that there wasn’t enough support for them right out of the gate. I know there’s a GM book in the works somewhere, but I wish that and the Bestiary came out at the same time if only to give the full experience. 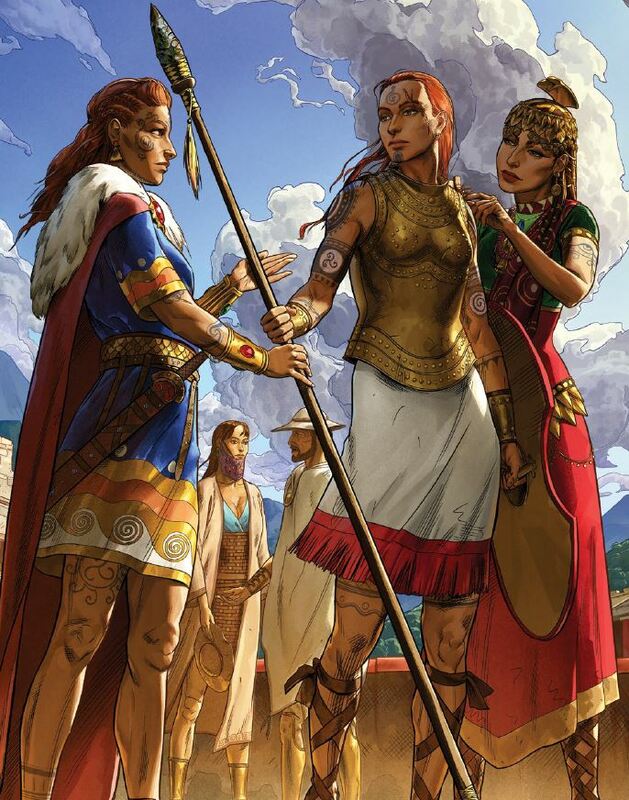 RuneQuest Roleplaying in Glorantha is a glorious game, and much like reading the epics, is extremely rewarding if you sit down and put some effort into reading it. The rules are complex but fit together in the manner of a Swiss watch, and the setting only makes it even more impressive. It’s not fast, nor narrative, nor does it want to be. It knows it’s place, and doesn’t try to reach out to other spaces when it completely dominates at what it is. I would highly recommend it to GMs looking for a setting that can sandbox extremely well, has a wonderful sense of mythic realism, and isn’t intimidated by the reputation it has. Chaosium has wowed me consistently from day 1 with my experiences with Call of Cthulhu 7th Edition, but RuneQuest is the one game that has knocked me off my feet and made me a believer. Get it, study it, and fall in love with it. Thanks for reading my review. This is a fraction of a huge 10-article "Let's Study" review series on my blog that you can find over at https://philgamer.wordpress.com/tag/runequest/ There you'll find a breakdown of the contents and impressions of the major chapters of the book. With well over 100 hours of playtime already with RQ:G, I can firmly say this is the best system I have ever played. Don't let RuneQuest's crunchy reputation hold you back. Combat is fast, fun and easy to learn. Narrative and combat loving players alike will have a great time with this one. The art is also coffee table book quality all on its own. The melding of setting and system is accomplished beautifully. The character creation system is a masterful way of introducing players to Glorantha and tying them into the world's history. Additionally, the accretion of skills and passions from life events, culture, profession, cult, and personal interest lead to a well-developed and multi-faceted character. Reading through the book has definitely left me wanting more. Looking forward to the Bestiary, Gods book, and GM resources. What can I say? This edition of Runequest is a seriously immersive return to the Bronze Age Myth-Making of Glorantha. Not finished reading yet, but what I have is clear and concise as one could expect from such an arcane and elaborate world. 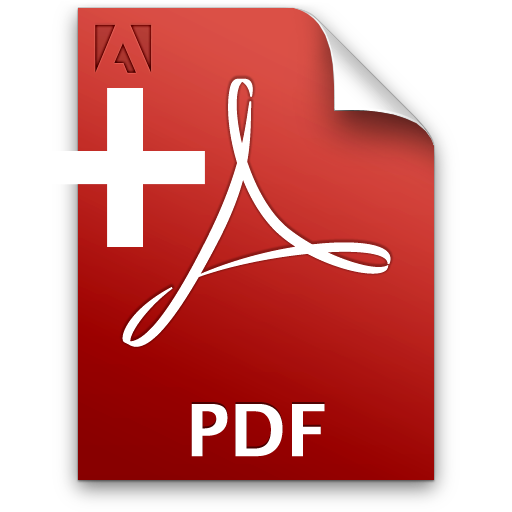 My only quibble is that the PDF itself is such a cumbersome beast and not given to quick flipping; Chaosium could look to Paizo's Lite PDFs for a way to tighten the reading experience. Fantastic looking rule book, keeping enough of the older rules to be backwards compatible, whilst building on solid foundations to add more depth to the system. Can't wait for the slip case combo (with this, the bestiary & GMs book), although it does make me wonder where the Gloranthia sorce-book fits in, especially with the two volume guide to Gloranthia! My only grumble is the lack of any animals or monsters at all in the book - the game reads more like a players hand book than a complete system. Fantastic looking rule book, keeping enough of the older rules to be backwards compatible, whilst building on solid foundations to add more depth to the system. Can't wait for the slip case combo (with this, the bestiary & GMs book), although it does make me wonder where the Gloranthia sorce-book fits in, especially with the two volume guide to Gloranthia!